Literary scholarship has paid little serious attention to Habermas' philosophy, and, on the other hand, the reception of Habermas has given little attention to the role that literary practice can play in a broader theory of communicative action. 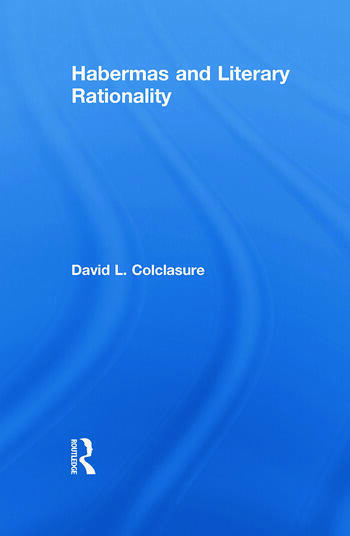 David Colclasure's argument sets out to demonstrate that a specific, literary form of rationality inheres in literary practice and the public reception of literary works which provides a unique contribution to the political public sphere. David L. Colclasure is an independent scholar who teaches and has published in the field of German Studies. Among his recent publications is his new translation of political essays by Immanuel Kant in a volume entitled Toward Perpetual Peace and Other Writings on Politics, Peace and History.